In partial fulfillment of the requirements of the Bachelor Tourism and Hospitality Management (B T H M) program of Victory university of Bangladesh, this research Report is prepared under the guidance and supervision of Lecturer Taraque Ahmed Khan and submitted to Department of Tourism and Hospitality Management for evaluation.In partial fulfillment of the requirements of the Bachelor Tourism and Hospitality Management (B T H M) program of Victory university of Bangladesh, this research Report is prepared under the guidance and supervision of Lecturer Taraque Ahmed Khan and submitted to Department of Tourism and Hospitality Management for evaluation. I do here by declare that the entire report is submitted as a part of intern requirement in the BTHM programmed in the Tourism and Hospitality Department in the Victoria University of Bangladesh is my independent and original work and all other references have been motioned here in it. This research is design to understanding the Front office operation and its performance. The aims of the study are making a report regarding the internship which I have done in Hotel quality Inn. And providing an idea about the front office operation to the students of Victory University of Bangladesh. The plan of this report is to achieve goals and objectives of the report using all things which I have know and learnt from practical work with the help of theoretical knowledge. First of ill I would like to thank my almightily Allah, my creator and my sustainer, for energizing helps to prepare this report successfully in a short time. I would like to express my heartiest thank to each an every teacher of the faculty of Tourism and Hospitality Management of Victoria University of Bangladesh who helped me a lot of from various ways. I would like to give my sincere thanks to every associates of the Hotel Quatity INN for their kind co-operation and constructive, guidance, positive suggestions, proper help and inspiration to prepare this study without which it would not been possible in these short period. I also deeply acknowledge Lecturer Taraque Ahmed Khan and also my teacher for their direct and indirect contributions in preparing this of all I am grateful to my respective parents all of other family and well-wishers for their inspirations that led me go to ahead. At the period of period of preparing this report, I have observed the entire front desk operation in Hotel Quality Inn. And I got information form the respective officers at certain period. For attaining the Bachelor Tourism and Hospitality Management (BTHM) degree, internship is prerequisite because of gathering the practical experience in the other job sector. Internship is pragmatic step for the student of BTHM holder. To fulfill the purpose I had to go to Hotel Quality Inn. Dhaka. Which I faced extraordinary experiences during the internship period which was approximately ten to twelve weeks lengths. The study covers all types of data based on both primary and secondary data. The primary date are collected from face to face discussion with the help of the officials of various position of Front desk office. secondary information has been collected from published materials pertinent to the study. These are data one facts, figures and other relevant material, past and present serving as basis for study and analysis. 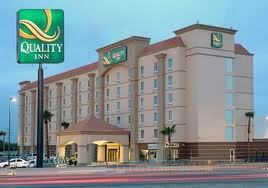 Hotel Quality Inn is an exclusive hotel in Dhaka of Bangladesh. Our Hotel is situated Just minutes away from Gulshen club. Hotel quality provides of elegant, contemporary Luxury. A direct marketing (direct mail) package consisting of a trio-fold brochure, letter of introduction, and replay card send to a list of potential guests. Individual Remote Controlled Air-Conditioned Rooms. To receive guests into Hotel and carry out basic reception and book-keeping procedures, to ensure smooth operation of Front Office system. Dealing efficiently with all reception and accounting procedures as laid down by the Front Office Manager. Ensuring all letters, messages and telephone calls for guests are passed quickly and efficiently. Working in an organised and tidy fashion – maintaining cleanliness ir the working area. Being responsible for personal hygiene and cleanliness of uniform. Operating Switchboard efficiently when necessary. Operating Fax, Telex, Photocopier/Bleep, PA and Background Musi System. Having knowledge of procedures for Fire and Bomb Threats an xang able to act accordingly. Any other duties as designated by the Front Office Manager. R – Reassurance the guest is in unfamiliar surroundings. E – Eye contact with the guest – look and listen. E – Even toned pleasant voice – speak clearly. P – Patience at all times even on the telephone. T – Tact displayed when dealing with guests. I – Interest shown hi guests’ questions add requests. N – Neat; at ail times while on. duty and on front desk. T – Tidy’ charts ‘and other documents must he neat and. always available by each phone. 3) Early departure, these seem to be excessive then when all accommodation booked P.O. Manager will make the decision to over book. If the booking allowed is *% of total rooms, the figure of 24 rooms is then noted on reservation charts. Hotels often quote a special rate for functions, groups, tours, businessmen or certain organizations who use the hotel on a regular basis. The time of year when business is at its quietest, usually the winter months when the lowest tariff prices are quoted. The time of year, usually the holiday and summer periods, when the highest tariff prices are quoted. 1. Establish who the message is for. 2. Write down a message accurately with all the relevant details. 3. Repeat the message back to the caller. 4. Pass on the message immediately, or as soon as possible. 5) Retrieve keys from guest. To calculate the room occupancy percentage accurately, the number of rooms out of service (OSS) for any reason such as maintenance or redecorating must be deducted from the total number of rooms in the hotel. There are several ways of payment.- It is very convenient for customers to choose one of them according to their situation and preferences. The payments ways are following. (a) Insufficient funds in the account of the drawer. (c) Words and figures do not agree. (f) State cheque more than six months old. (g) If the drawer dies. Bedrooms and bathrooms should have sufficient space for the mobility of the wheel chair. Business center: we have a well furnished business center with world class equipment. Here we provide services what is required by guest. Here those equipments are available……..
Hotel Quality Inn has with equipped conference hall with internet projector, sound system and many other facilities on 1st floor. 15-20 persons can us tins hall for meeting. Guest will choose what ever he or she need. Message: This slip is use when we have to keep message for our guest, we use this slip to make our system of keeping message is more repayable. Here we keep the name of person for whome the message is, his room no and that person who want to give message, his address, phone, type of message. message details, and the most important thing when the message is get that is date, time and received by whome..
1) Quality services are hampered by traince staff. 2) Napolism is a prime fact while reccreeing new staff. 4) Lack of efficiency for prepanceng duty Roster. 5) Most of the bill prepanations are done by front desk staff although it is the responsibility of accounts depertment. 1) Hotel business requires hning some impressive and disnlinglive attraction and servises. Although Hotel Quality inn provides sailent surrounding and attractive decorations, but their services are not up to the mark as they promised to the guest. I think from my observation that they should try to provide best services as committed to the guest. 2) Napotism is one of the major problems that I obsenved in Hotel Quality Inn. As a hospitality service providing institution, it is essential to ensure equal employment opportuing in reeruiting staff. So, Hotel Quality Inn should practice equal employment opportunity for staff to provide committed services to the guest. 3) Their is a tendency of Hotel Quality Inn management to operate that front jesk department by trainee staff. I think this is a prime reason for service deterioration. So they should try to avaid this onentality to Improve best guest satisfaction by recruiting professional staff from vanious tinning institute. It is very clear to us that Front desk is the nerve centre of a Hotel. As we know that when guest comes to a hotel that time he or she meets at frist to a person which beloned to front desk. So, it is inevitable to give good impnession for the guest to .